It wasn't a given that Alonzo Moore would get to do what he did last Saturday -- celebrate senior day alongside 27 members of the Nebraska football team. Moore qualified to enroll at Nebraska just days before the start of his true freshman season. Even getting to that point required extraordinary teamwork -- an extraordinary effort on Moore's part and an extraordinary devotion from his mother to drive him an hour each way every to the tutoring center that Moore said "changed his life." 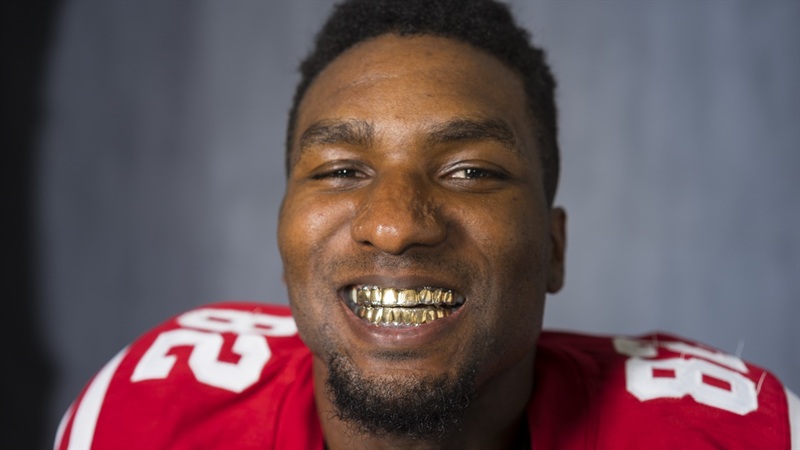 Now he's a college graduate, a father and the Huskers' third-leading receiver in 2016, averaging a team-best 19 yards per catch. With 19 more receiving yards over Nebraska's remaining games, Moore will eclipse 1,000 yards for his career. He would be the 24th Husker in that club. 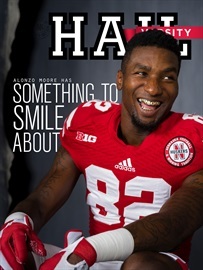 Editor Mike Babcock shares even more of the amazing details of Moore's story in the latest issue of Hail Varsity, which hits newsstands and mailboxes this week. >>Online editor Erin Sorensen shares the story of Dorothy Mason, the 102-year-old Husker fan who is wild about Nebraska volleyball. Staff writer Jacob Padilla also catches you up on the latest from the Huskers in our volleyball notebook. >>Padilla caught up with freshman forward Isaiah Roby for a Q&A as the Illinois native attempts to make an impact for the Huskers on the hardwood this season. >>Our game photos cover a wide swath of Nebraska athletics in this issue, highlighting men's basketball, volleyball, Nebraska soccer's first-round NCAA Tournament win over South Dakota State and football victories over Minnesota and Maryland, including an emotional tribute to Sam Foltz on senior day. There's plenty more in our latest issue. Not a subscriber? Get on board here. And if you're shopping for Husker fans this time of year, Hail Varsity also makes a great gift this holiday season.